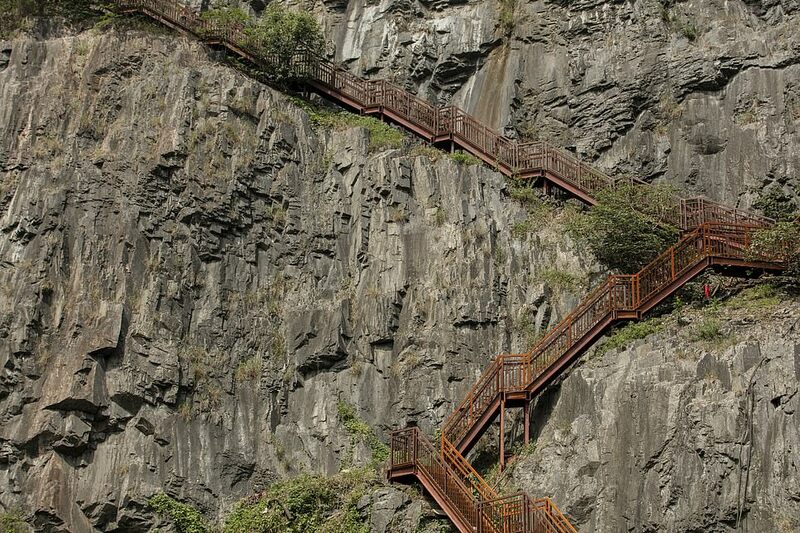 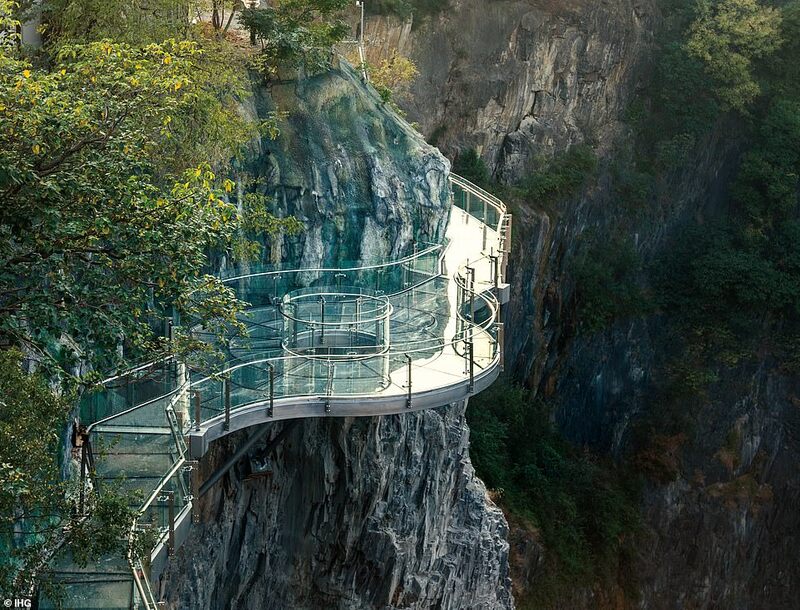 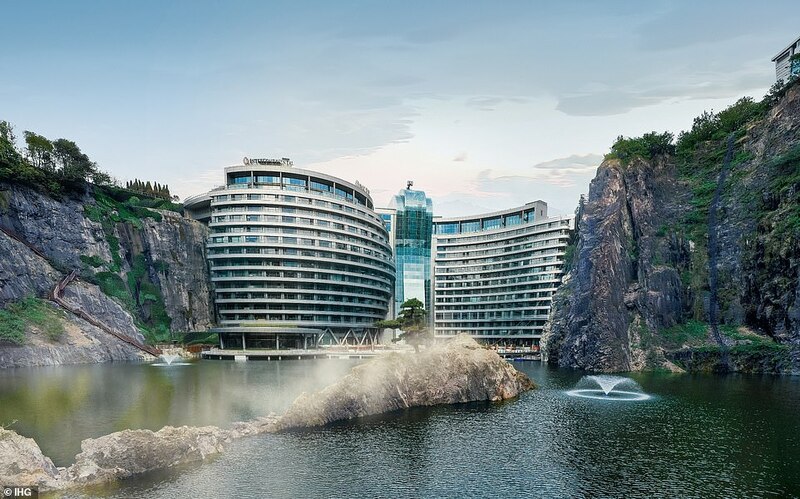 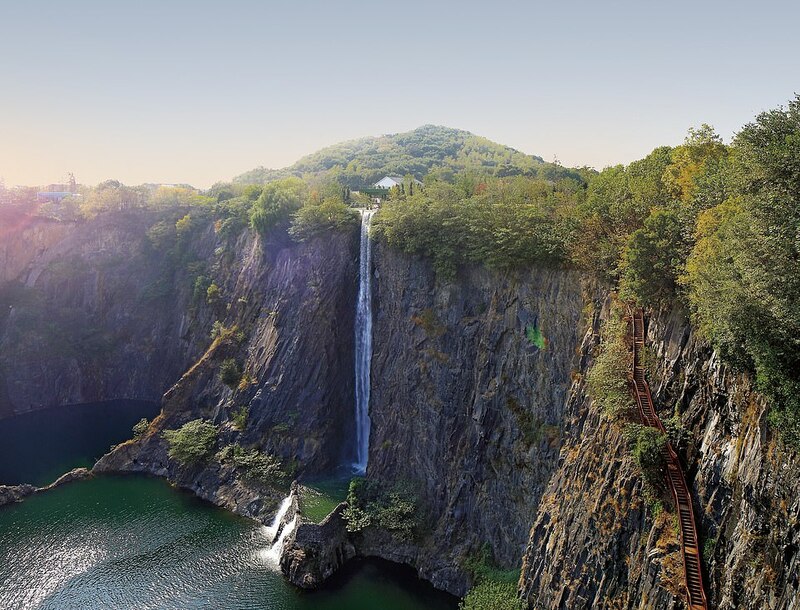 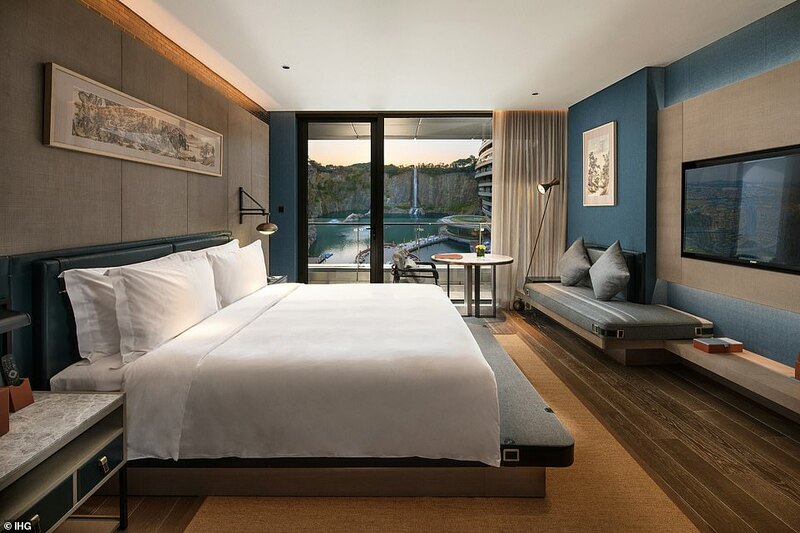 China's latest luxury hotel yesterday opened inside an abandoned quarry after nearly a decade of construction. 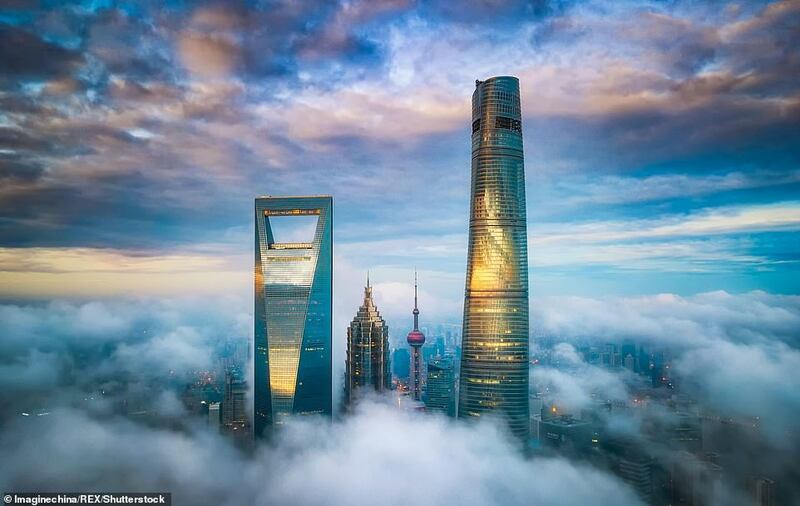 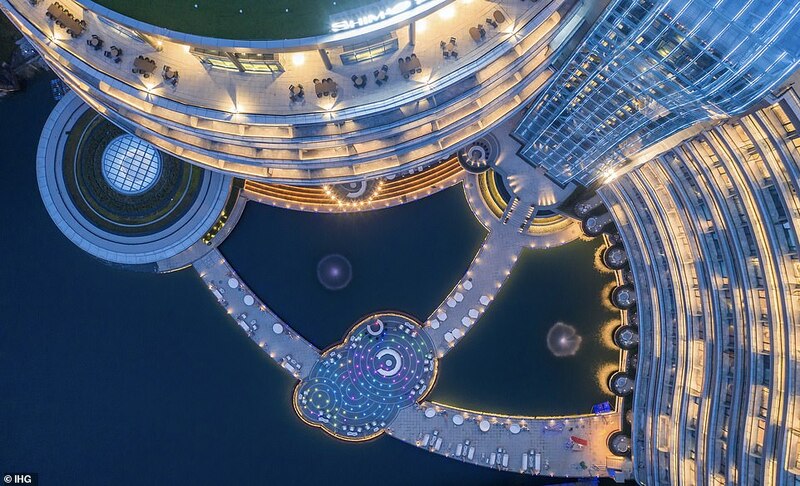 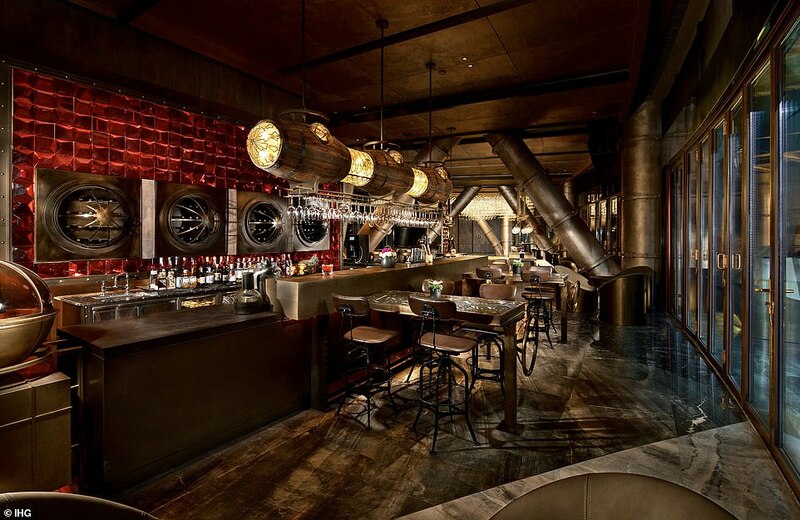 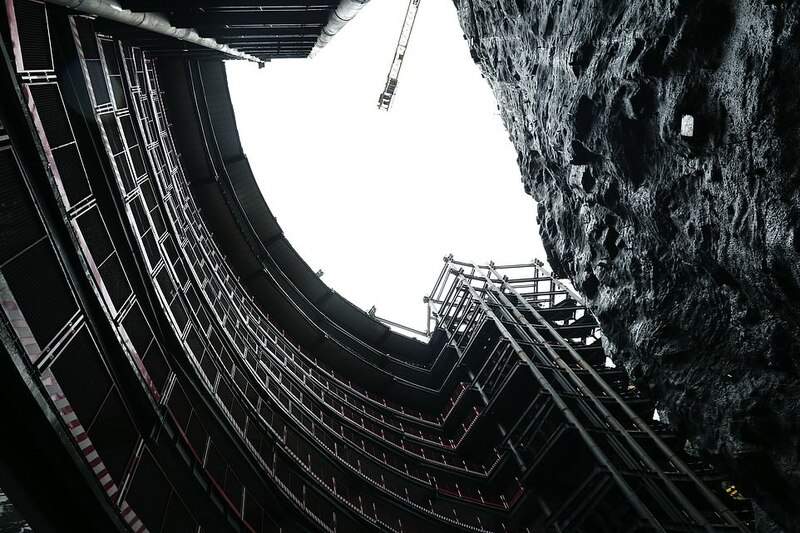 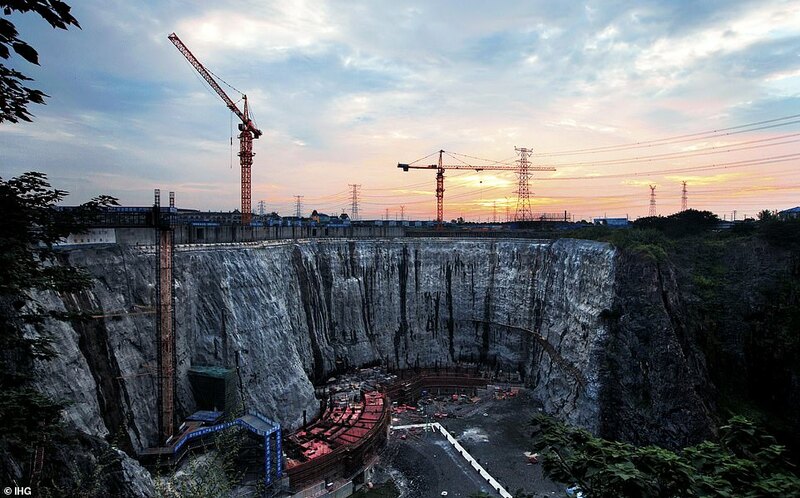 InterContinental Shanghai Wonderland, a much-anticipated £225 million project, is built onto one side of an 88-metre-deep (289-foot-deep) pit in the south-western outskirts of the financial hub. 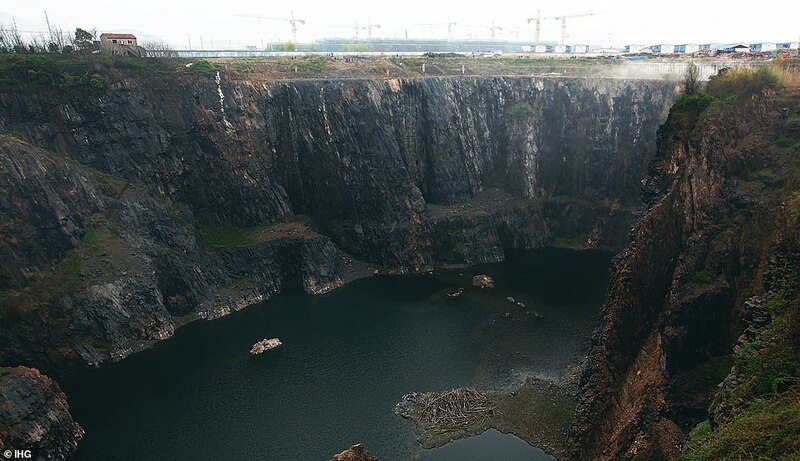 Draping down the rocky pit as if a glitzy waterfall, the 17-storey, 336-room hotel has two floors above the ground and 15 floors underneath, including two lowest levels that are submerged in a man-made pond. 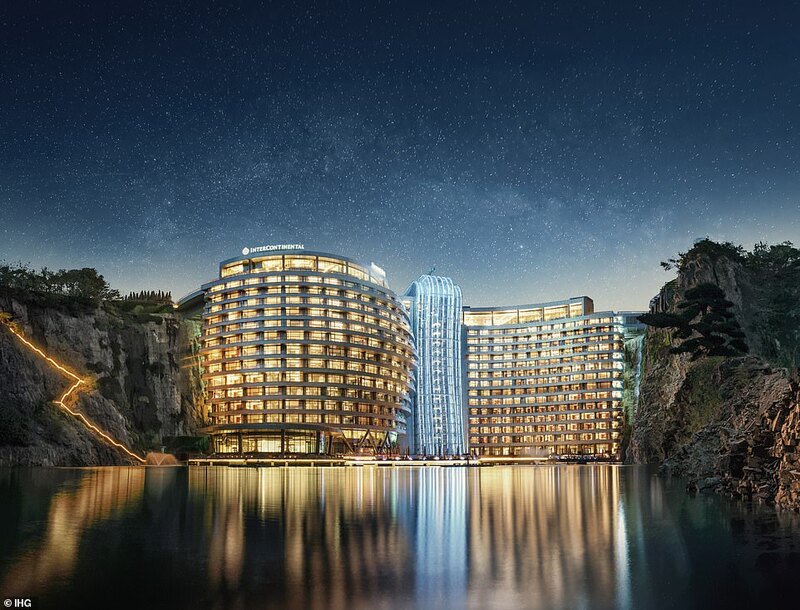 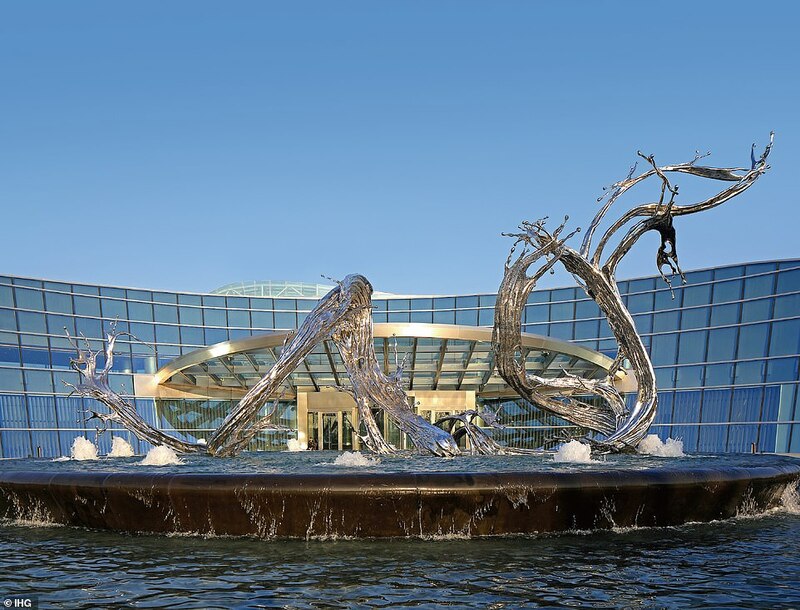 Although the hotel's opening ceremony was held yesterday, guests will only be able to check in from next Tuesday, according to a spokesperson.